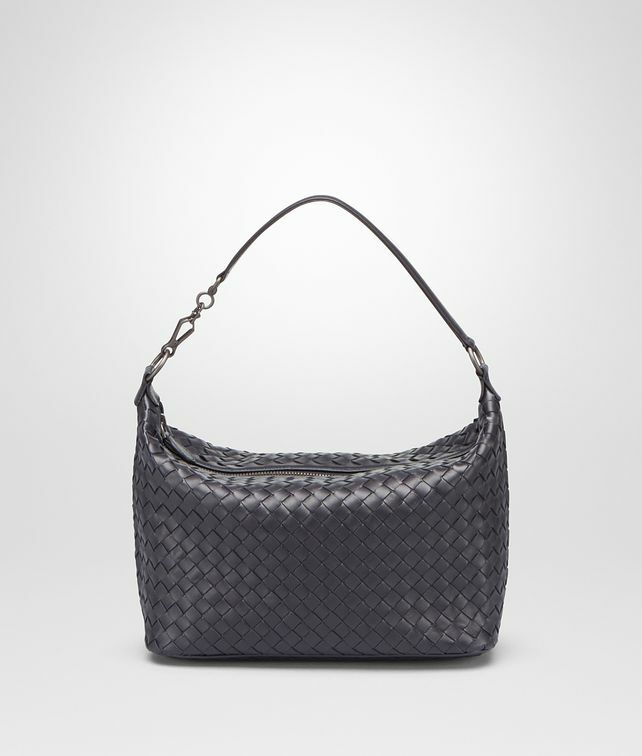 An example of understated elegance, this hand-woven Nappa handbag has a soft, boxy shape and a minimalistic appeal. The practical leather strap is detailed with a Brunito-finish spring clip and allows the bag to be worn on the shoulder, arm or carried as a clutch. The velvety suede-lined interior ensures plenty of room for daily essentials. Height: 17 cm | 6.6"
Depth: 12.5 cm | 4.7"
Strap length: 33 cm | 12.9"